St John’s House Museum is indeed a historic house located in Warwick, a house that has had a 900 year old history. 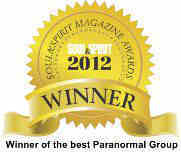 There have been many reports of paranormal activity and ghostly sightings reported by staff and visitors alike. The sounds of phantom footsteps have been heard in empty room, witnessed by baffled lookers. Dramatic drops in temperature are a common occurrence, and even a figure has been seen looking out of one of the windows. 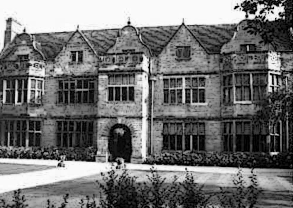 Like many locations that have had a history associated with hospital are usually a hotspot of paranormal activity. Join John Blackburn Physical Medium in a night like no other! 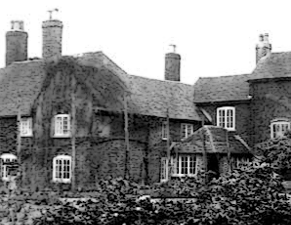 Graisley Old Hall was built in 1485 and is gaining a reputation for being one of the most haunted locations in Wolverhampton. Several witnesses have reported strange activity when pools of water have appeared in the hallway of the property. There has been a history of haunting and poltergeist activity which has been known to be very prevalent in the old house. To make your night different from the normal ghost hunting experience John Blackburn Physical Medium is leading the investigation and will focus on different forms of communication with spirit. John works strongly with energy and focuses on the manipulation of spirit energy giving you an invigorating experience. Black Swan in Devizes has a reputation of being one of most haunted hotels in Wiltshire. However we are there for a development workshop so we can heighten your senses. It is a psychic and psychometry based workshop to prepare you for the exciting main event of the evening. 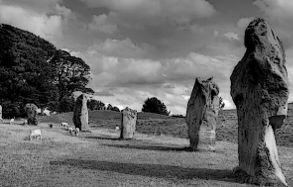 After the workshop we are taking you to West Kennet Long Barrow, a Neolithic burial chamber at Avebury Henge where you will be given chance to test your new found skills. We will finishing of the day at Avebury Stone Circle to welcome in the sun goddess Litha of the Midsummer solstice, taking us into the longest day of the year 21st June. Please Note: The event cost of £25 is for the Workshop at the Black Swan only, We will not be alone at Avebury as we will be joining in with the solstice festival. Join John Blackburn Physical Medium for an amazing Halloween weekend in Scotland's historic Capital City. Your weekend will include an exciting Halloween Friday night event at Edinburgh Dungeon's, one of Edinburgh Scariest locations . Saturday daytime you will have some free time to explore the city of Edinburgh. 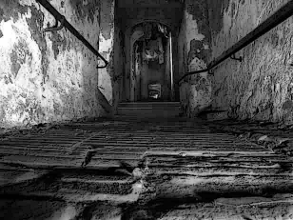 Saturday night a Halloween paranormal investigation in the infamous Mary Kings Close! Your weekend will include 2 nights accommodation plus continental breakfast, which is only 14 minutes from the city centre. In 1644 the cramped and filthy conditions provided a perfect breeding ground for disease, and when the plague invaded Edinburgh and it deviated the Scottish population. The pestilence struck hard and Mary Kings Close suffered devastating casualties. There are many events in history where the suffering of the unfortunate victims have left lasting impressions and Mary Kings Close is without exception.